Heavy rains, broken pipes, or failing water heaters or sump pumps are just a few of the circumstances that can lead to a flooded basement. Regardless of the cause, act fast to avoid long-term damage. There are some steps homeowners can take to help mitigate the effects of flooding, but if standing water is an issue, calling in professional help to make basement water damage repairs is a the best idea. Stay safe: A flooded basement poses a safety risk. If you have any doubts about safety, don’t enter a flooded basement. Before surveying the damage, turn off the electricity. Use a powerful flashlight if it’s dark. Wear boots, gloves and safety glasses for protection from contaminated water and submerged items. Survey: Inspect the extent of the damage. Is there standing water? 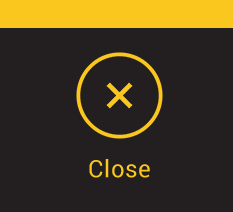 How deep is it? Which possessions are salvageable? Can you tackle the clean-up and repairs yourself, or do you need assistance? Dry out: If the water level is only an inch or so, try a wet/dry vacuum to pull out the excess. Use a portable sump pump to help remove standing water. If your basement has windows, open them to allow fresh air to circulate. Run fans and dehumidifiers to help dry and ventilate the space. Clean up: Shovel out any mud, then hose down and scrub dirt stains. Rinse items that have been submerged in fresh water, then clean with hot, soapy water. Finally, disinfect with a mixture of a half cup of chlorine bleach to one gallon of water. Retrieve and discard: Salvage belongings that were untouched by the rising water. Pull out any carpeting, upholstered furniture or other textiles that got wet. These generally cannot be saved as the absorbed water will promote mold and mildew. Inventory: Document the damage caused by the basement flooding. Take photographs; list every item as it’s removed from the basement and either treated for water damage or trashed; and keep estimates and receipts for any flooded basement repairs or restoration. This information will help support an insurance claim. The effects of water damage can be severe if left unchecked. Immediate action is essential — according to The Washington Post, experts advise getting water out and repairs started quickly because mold growth can begin in just a couple of days. It’s unsafe to enter the basement due to live electrical wires or a suspected gas leak. The basement may be structurally unsound. Systems, such as furnaces, water heaters, and HVAC, often found in basements, need to be inspected and repaired or replaced. Appliances need to be inspected, cleaned and repaired. Removal of drywall, plaster, paneling and insulation is required. These areas will need to be thoroughly dried and assessed to inhibit the growth of mold and mildew. Flooring needs to be replaced. Hard floors, such as tile, can be thoroughly cleaned and sanitized. Wood floors generally absorb too much water and will need replacement. The flood water was contaminated with pollutants such as chemicals or sewage. Mold and mildew are already apparent. Don’t keep valuables in the basement. Keep supplies and equipment on hand for clean-up. If your washer and dryer are located in the basement, elevate them above the ground. Use shelving for storing items, rather than keeping things at floor level. Store items in plastic tubs rather than in cardboard boxes. Install a sump pump if your basement doesn’t already have one. Document your possessions. Take photos and video of the basement and keep a list of items kept in the basement. Obtain recommendations and information about companies that provide water damage restoration ahead of time. 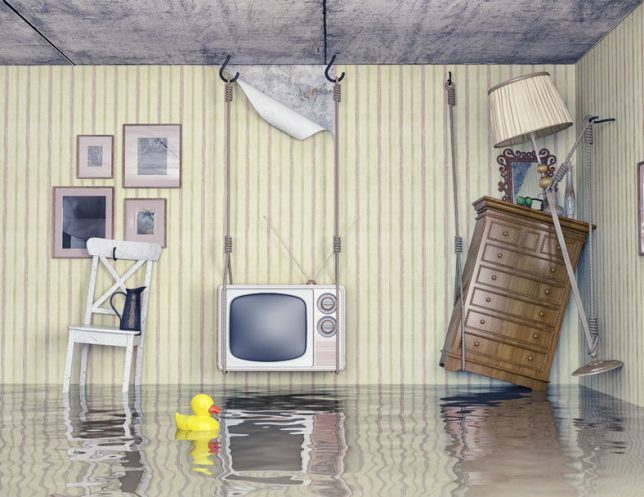 Review your insurance policies to make sure you’re covered in the event of a basement flood. Call on water damage professionals. For immediate repairs and to protect your home from future problems that may result from flooding, consider working with a water damage repair and remediation expert. The contractors in the Contractor Connection network are experienced in managing flood repair work, including those that involve insurance claims. 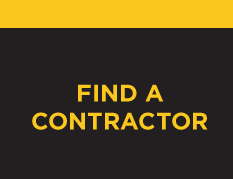 To find a pre-qualified contractor in your area, simply enter your ZIP code above to start the process. Our matching service is free — you pay only for your contractor’s work, which includes a three-year workmanship warranty.